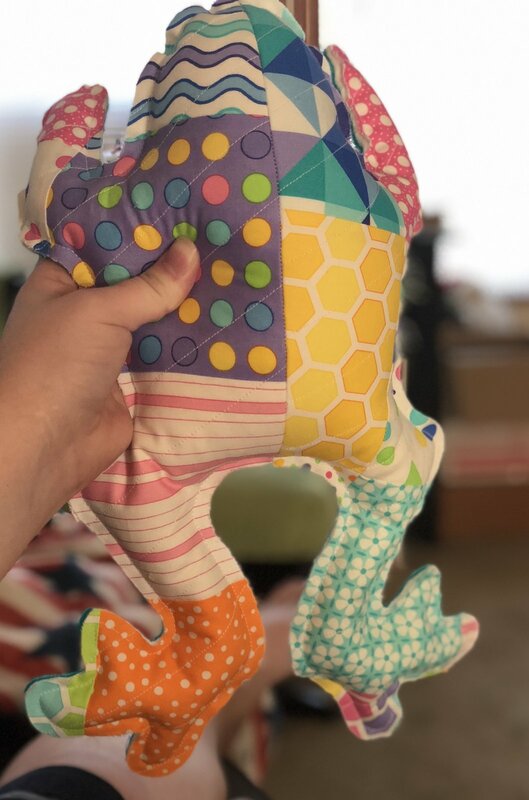 Learn to create a friendly frog using charm packs, strips, or scraps, and 3 fat quarters. Filling can be poly-pellets, which can be washed in the washing machine, or rice to use with essential oils. Great for kids and adults!